ECLC provides legal advice and assistance free of charge. ECLC focuses on clients who have less capacity to engage a private lawyer. Am I seeing a real lawyer? Yes, all legal assistance is provided by qualified practising lawyers. Am I eligible to get help from ECLC? We may be able to help you if you live in another area, and a conflict of interest prevents you from using your nearest community legal centre. *ECLC’s elder abuse program also includes the City of Monash. ECLC’s has offices in Box Hill, Boronia and Healesville, as well as outreach locations across the Eastern Metropolitan Region. For full details, including opening hours, please see Our Locations and Outreach. What sort of legal issues can I get help with? Can I get legal advice via email? We do not provide legal advice via email. Please contact us by phone for assistance. Can you sign documents for me? No, but we can provide details of a Justice of the Peace if you need documents to be witnessed. Do I need a lawyer when going to court? You do not always need a lawyer to attend court proceedings. However, we recommend you seek legal advice well in advance of your court hearing date to determine if representation is required. I don’t like what my lawyer has told me, can ECLC give me a second opinion? ECLC does not offer second opinions. If you are concerned about the legal advice you are currently receiving you may be able to lodge a complaint through the Legal Services Commissioner. 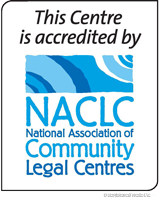 What is the difference between Community Legal Centres and Legal Aid? While Community Legal Centres (CLCs) and Legal Aid both provide free legal services to the community, the organisations are different. 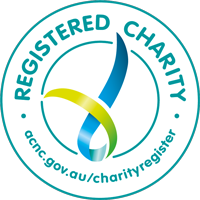 Victorian Legal Aid is a statutory authority, whereas CLCs are independent community organisations with strong local community connections. Why do you need to collect personal information about me and the other person involved in my legal issue? We collect this information so we can get an understanding of our clients and how we can best serve them with our resources. We also perform a conflict check using the other person’s name to make sure that we haven’t already helped the other person. If we have not seen the other person, we can help you. It is against the law for a legal organisation to assist anyone if we have previously or are currently helping another person who may be involved in the same issue. If this is the case you will be told that there is a “conflict of interest”. Will you contact the other party in my matter? We will only ever contact the other party in your matter if we have your explicit consent. I study/work during the day can I see a lawyer after hours or on the weekend? ECLC has evening services available by appointment only. We do not have any services on the weekend. If you can’t help me, who can? If ECLC is unable to assist with your matter, we can provide a referral to another service. Alternatively, you may wish to contact another generalist, specialist or other service directly. Some services are listed on our website. For residents of other local government areas, please contact your nearest Community Legal Centre.